Thank you so much! And you're welcome. I realize that this review isn't a beautifully written piece as I call it absolutely genius but then turn around and go on about how much I disagree with it, so I am glad that my dorkiness in my thoroughness is appreciated and helpful! I just saw that the Daily Connoisseur posted about "spark joy" on instagram today. 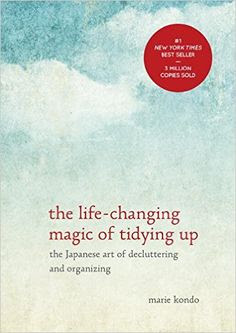 Apparently, it's a new book by Marie Kondo that is the companion to this one.